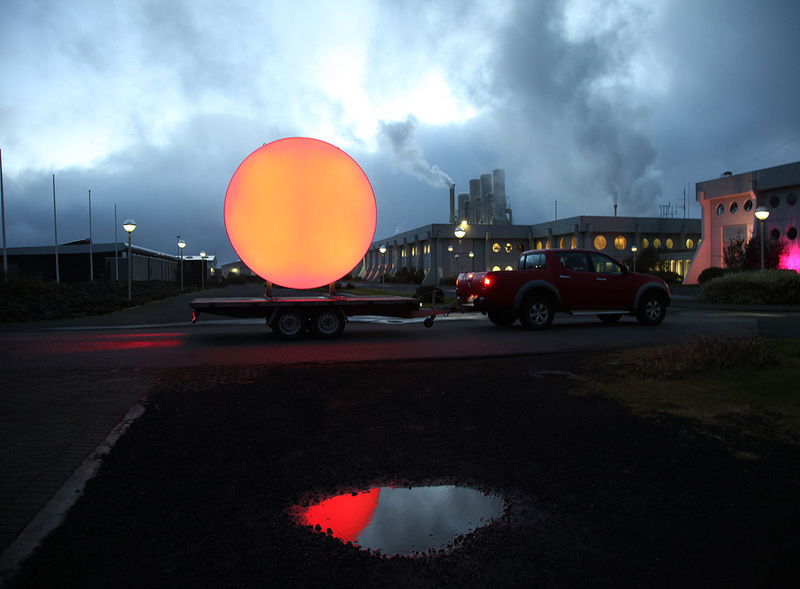 Traveling SUN is a road trip and a site specific art project. Our aim with our art project is to bring light to the dark winter months in the north, meet people and share with the rest of the world the beauty of the unspoiled nature that is to be found in all of the Nordic countries. For those of us living in the north the sun or lack of it has an immense impact on our lives. 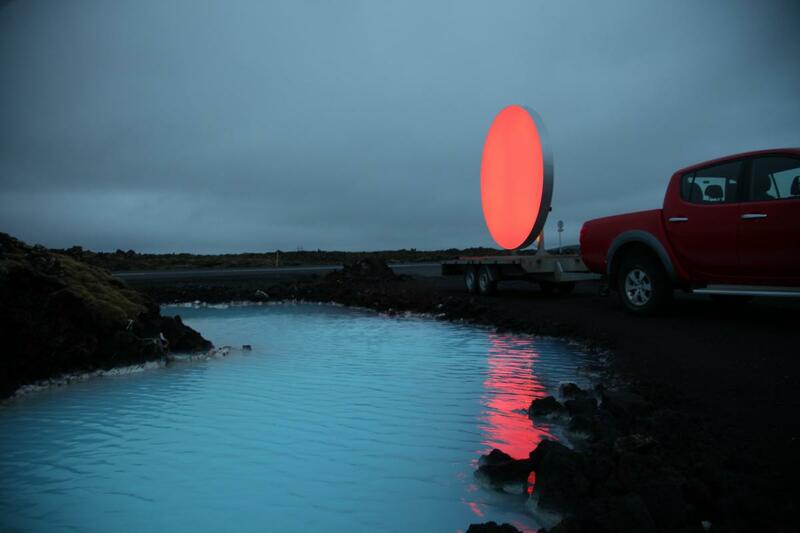 The artists Christine Istad and Lisa Pacini wanted to bring the ‘SUN’ to dark places as a gesture. To take The SUN on the road trip was an essential part of the work. By documenting the trip on our blog, we allow viewers to share the trip with us. 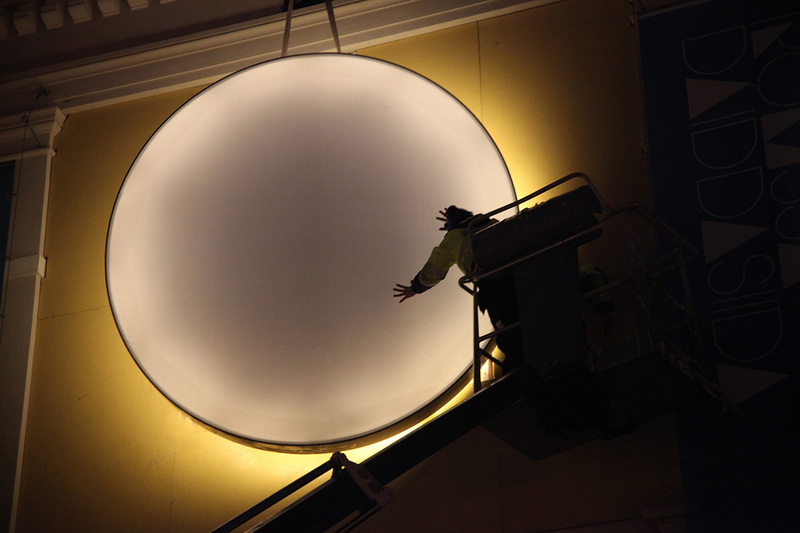 The SUN is a circular light sculpture, 3 m in diameter, that shifts between a wide range of warm colors. To make the road trip, it was suspended above a flatbed trailer that was pulled by a flat bed truck. The generator that powers the SUN is in the back of the truck, allowing us to drive with the light on all the time. 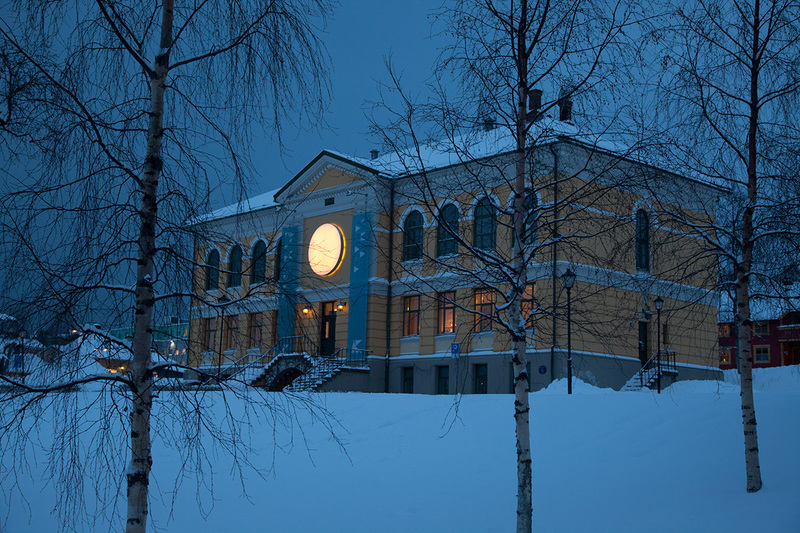 The SUN was mounted on the second floor façade of Tromsø Kunstforening on arrival the, where it was installed from November 2012 until the sun officially returns from the long winter on the 19th of January 2013. 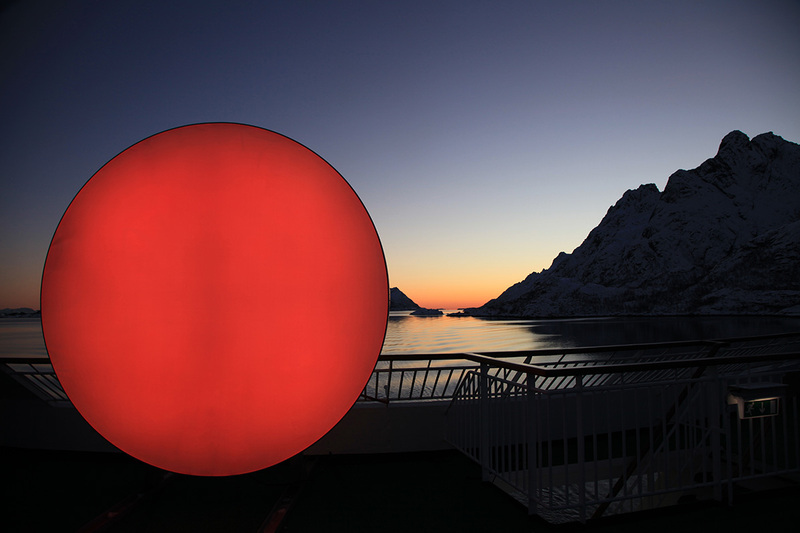 The 'SUN' then travelled all along the Norwegian west coast with Hurtigruten, M/S Nordkapp, mounted on the top deck, on a eight-day voyage from Tromsø to Kirkenes and to Bergen. 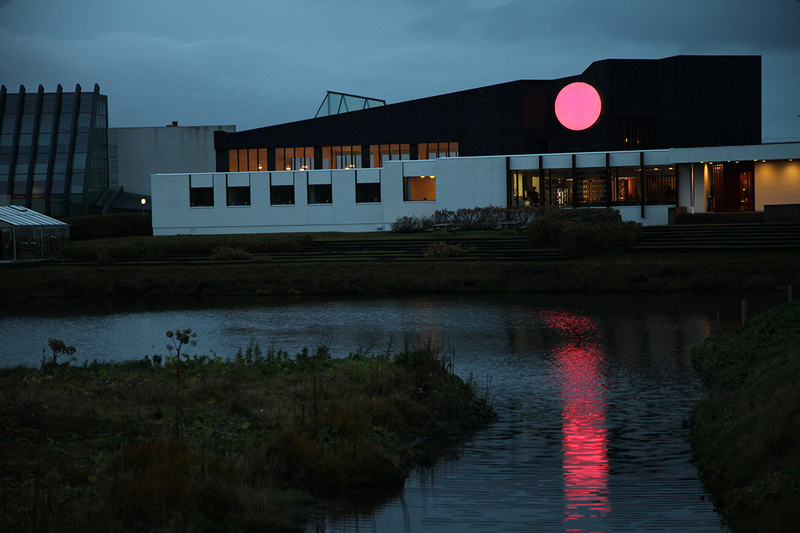 Winter 2015-2016 the SUN is at the Nordic House in Reykjavik, Iceland. The whole journey was documented and added to our blog and road movie. - The Nordic House, Reykjavik Iceland winter 2015-2016. 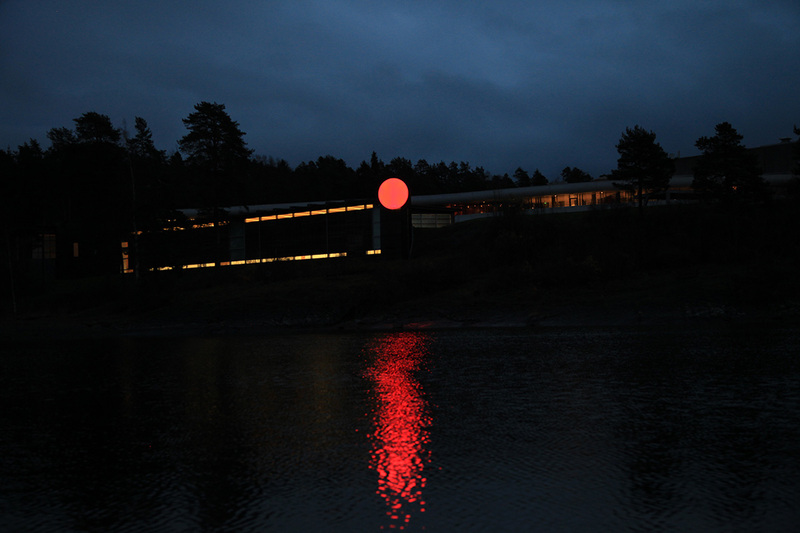 - Henie Onstad Art Center Norway, winter 2014 - 2015. 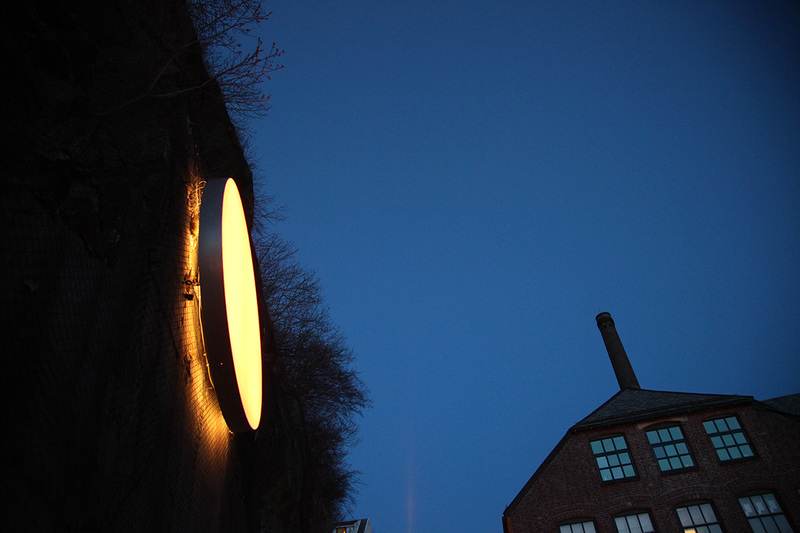 - Dray Walk Gallery - 100% Norway, London Design Festival UK 2013. - The Culture House at Rjukan, Norway, winter 2013 - 2014. - USF Verftet, Bergen Norway, summer 2013.